Yesterday I mentioned that I recently took the Healthy Heart Pledge, promising to add seafood to our menu at least two times per week. Today I'm back to share a delicious dish that fits beautifully into our new routine. 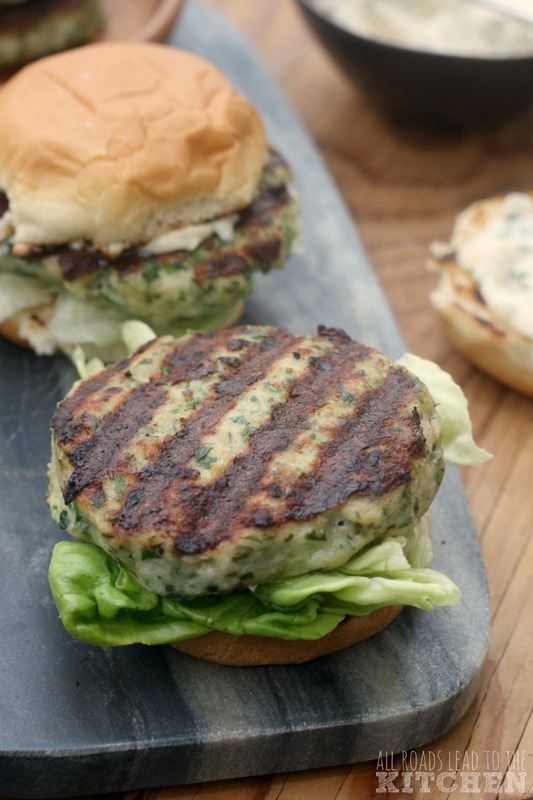 This recipe is also part of this month's #FishFridayFoodies theme, chosen by yours truly since I'm hosting this month - fish and seafood burgers! Here's the scenario: it's summer, the grill has been fired up over and over again, and more often than not, you wind up throwing some burgers over the flame. That's fine and dandy, but a girl's gotta have options. Maybe you're tired of regular burgers. Maybe you have a guest who doesn't eat red meat. Maybe you recently committed to a challenge that encourages you to use fish and seafood two times a week in new and exciting ways. You get my drift. 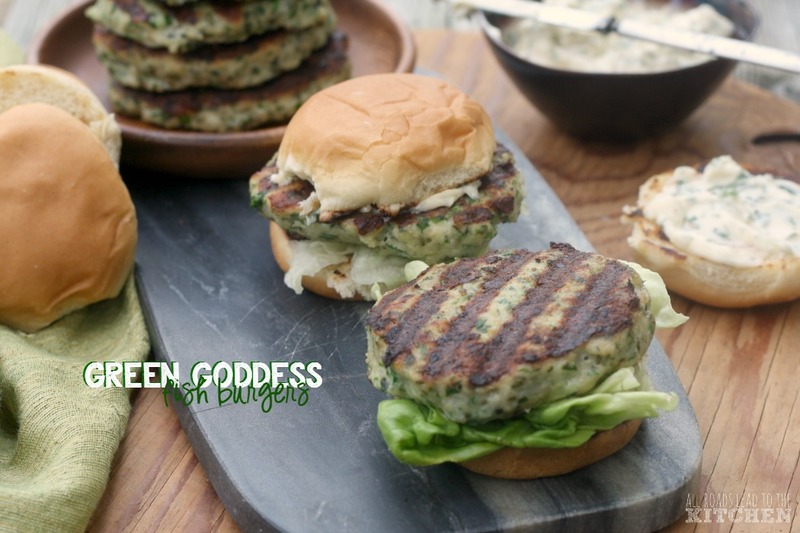 So, I challenged the other Fish Friday Foodies bloggers to create a burger using fish and/or seafood that could easily take the place of a beef burger on the grates (or in a grill pan, the stove, under the broiler, etc). I really wanted to see if we could come up with a solid resource for pescetarian burgers (as opposed to things like fish cakes and crab cakes). In the past I've made Shrimp Burgers, Salmon Burgers, and Mahi Mahi Burgers—today I went with mild, white tilapia. I used the flavor components of Green Goddess dressing...fresh green herbs, anchovy, lemon, and mayo...to bring the flavor. 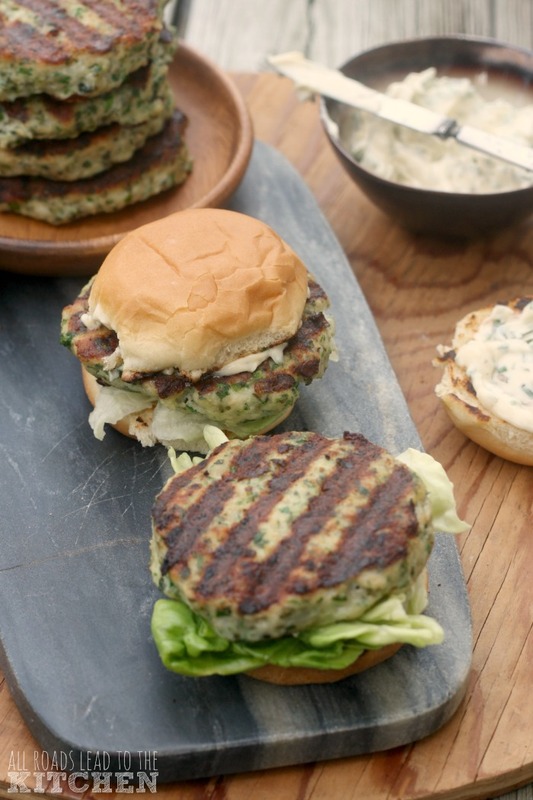 If you're a fan of the dressing, I hope you'll give these burgers a whirl. 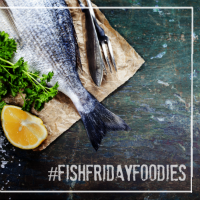 Be sure to check out all of the other tasty fish and seafood burger recipes created by the Fish Friday Foodies bloggers after the recipe! 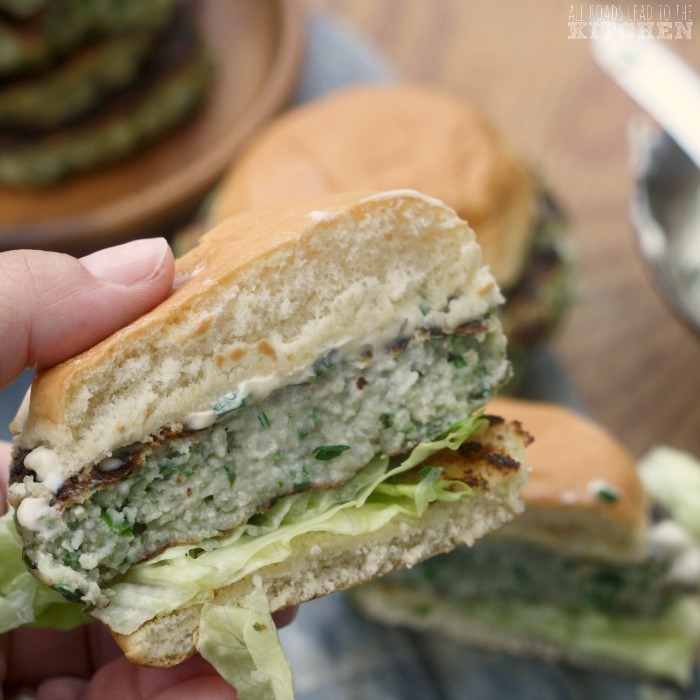 All of the bright, fresh ingredients of Green Goddess dressing infused into these fish burgers makes a delicious alternative for summer grilling! Place tilapia and anchovies in the bowl of a food processor and pulse a couple of times to achieve large chunks. Add breadcrumbs, shallots, and egg to the processor and pulse a couple more times. Combine all of the chopped herbs, then measure out 2 tablespoons and put them into a small bowl with 1/2 cup of the mayonnaise. Mix the mayonnaise and herbs thoroughly with a pinch each of salt and white pepper; cover and refrigerate until ready to serve. Add remaining herb mixture to the food processor along with the remaining tablespoon of mayonnaise, lemon zest and juice, and the salt and pepper. Pulse until everything is thoroughly combined, but not quite a paste. Scrape into a bowl. Line a baking sheet with parchment paper. Divide mixture into 4 (for burgers) or 6-8 (for sliders) equal parts and form into patties. Line up on the tray, then refrigerate for 2-4 hours to make them easier to handle and give the flavors time to meld. Preheat your grill (or a grill pan). Drizzle a thin layer of oil either directly onto the top of the patties, or into a small container that you can mop generously onto the grill grates or pan. Carefully lift up the fish burger patties and set onto the oiled grates. Close the lid of the grill, or overturn a pan on top of the grill pan. Cook for 3 1/2 minutes. Lift the lid, oil the (now) top of the fish burger, and gently flip it. Cover again and cook for another 3 to 3 1/2 minutes, or until firm. Remove the burgers to a plate. You can use the buns as-is, or split them and place them cut side down onto the grill or grill pan to toast. The residual oil that is now flavored by the fish burgers should give the bun some nice, golden grill marks. Serve the fish burgers on the buns with a leaf of butter lettuce and as much of the reserved Green Goddess mayo as you wish. I'm hosting this month, and I've challenged everybody to come up with some fish/seafood burger recipes. Check out all of the delicious offerings below!